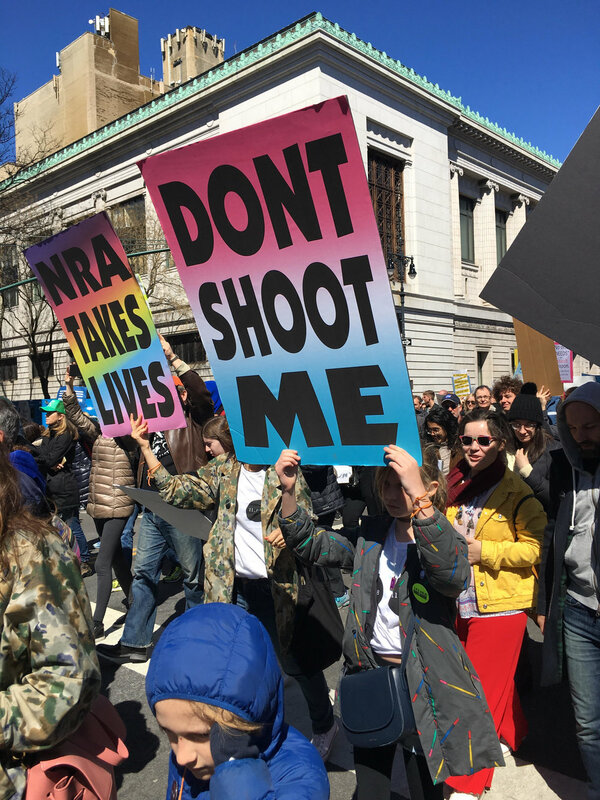 A group of Downtown for Democracy members, our friends and our kids, gathered to march in New York City in support of the students across the country who are demanding gun reform. We carried protest signs created by the artist Paul Chan & Badlands Unlimited. They produced a poster series called "New Proverbs" for New York Area student activists to carry during the National School Walkout on March 14 and March for Our Lives on March 24.